Are you interested in making free phone calls from your mobile device? A free calling app may be exactly what you need. To begin, let’s cover the basics. A free calling app works on your mobile device — smartphone or tablet — to let you have phone conversations at little to no cost for the minutes used or telephone service. It typically relies upon the internet, securely transmitting your call via Wi-Fi or over your cellular data connection. While many free calling apps look the same at first glance, there are key factors to consider before using one. Here are 5 points to pay attention to before downloading. It’s important to realize that not all calling apps provide full phone service, instead limiting calling to other users of the app. While these limited services may work under certain circumstances, there are times when you’ll need more comprehensive phone service to call a relative or a mechanic. These apps with limited phone service could leave you juggling multiple telephone accounts. Yet other apps, such as Ooma’s free calling app for users of Ooma’s home phone service, provide comprehensive telephone service, providing you full access to all U.S. phone numbers and international rates that cost just pennies per minute. Notably, subscribers to Ooma Premier service also get unlimited calling to Canada, Puerto Rico, and Mexico, as well as additional app functionality such as being able to receive unlimited inbound phone calls. When researching the best calling app, consider how you plan to use it and choose a service that accommodates your needs and lifestyle. Voice over Internet Protocol (VoIP) is the label that’s used to describe any phone technology that transmits calls over the internet, and many calling apps use it. When choosing the best calling app to use, consider the call quality that you’ll get with the app. Will your calls be garbled or have stuttered audio that causes your conversation to stall while you struggle to understand each other? To avoid these situations, check the independent reviews about the call quality of your VoIP phone service. 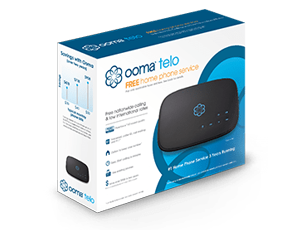 Notably, both PC Magazine and CNET highlighted the good call quality that the reviewers experienced with Ooma Telo phone service. A free calling app can end up costing you a lot of money if calls placed over a cellular data connection put you over your cellular data usage quotas. One obvious way to avoid cellular data usage for VoIP phone calls is to limit phone conversations to times when you’re connected to Wi-Fi. However, it’s more practical to acknowledge that some phone calls will occur while you’re on a cellular data connection. That’s why, when choosing the best calling app for you, it’s worth considering how the service handles its data transfers. 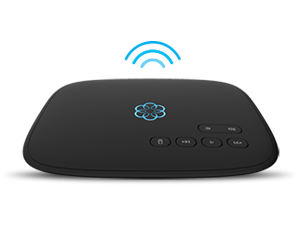 Notably, Ooma’s free calling app uses a proprietary compression algorithm that reduces bandwidth 60 percent over standard VoIP technology. This reduced data usage can help you prevent overage charges with your cellular plan. It’s easy to overlook a phone service’s role in your safety when you’re being dazzled by exciting features and cheap rates. However, it’s important to consider if you’ll have phone service that provides adequate access to 911 emergency services. If you plan to rely upon your cellular phone plan for 911 calls, keep in mind that there have been long-standing problems with 911 dispatchers being unable to geolocate cell phone callers. Additionally, some calling apps have extremely basic or no 911 services. In contrast, Ooma’s free calling app provides advanced 911 services so your 911 calls will be automatically routed to your home’s local dispatcher rather than to a national call center, and your home address will be automatically transmitted to emergency services. This can save critical time during an emergency. Additionally, Ooma’s 911 Alerts tool can help you protect others in your household. If a 911 call is placed from another device on your phone line, or from another Ooma account, Ooma can dispatch an immediate notification via text message or email to alert you that someone has called 911 from your home.